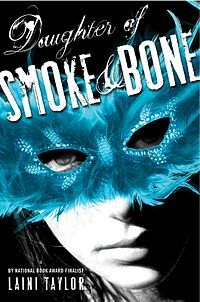 Sneak Peek: Daughter of Smoke and Bone’s Sequel! Days of Blood and Starlight, the sequel to Daughter of Smoke and Bone, will be out on November 6 – but if you just can’t wait that long, check out this three-chapter preview, available now. Need a refresher on the first book? Check out our full review. And until Blood and Starlight comes out, here are some other YA books with strong female characters you might like.